Jacob Kantor, a member of Ohr HaTorah Synagogue in Los Angeles, had a vision of the consequences of a friend being deprived of his latke entitlement on Chanukah. Within a week, he turned the vision into a music video telling the whole story. Amazingly, the video production was done on an iPhone in just two days. After another two days of editing, Kantor posted the video on YouTube, where it joins the growing panoply of Chanukah music videos. 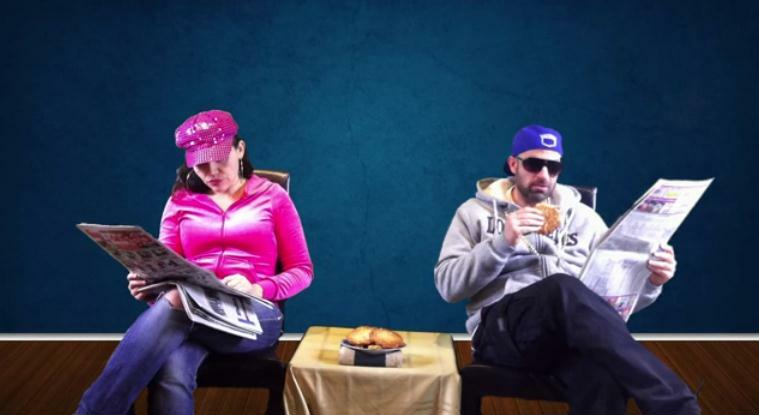 The characters in the video go through a series of disappointments when they are offered a baked potato, mashed potatoes, knishes, french fries, and tater tots, all of which they reject. Why, oh why, can't they get the latkes that they crave? Finally, the singer gets his latkes. But only because he bought them at Gelson's (a Los Angeles supermarket chain.) Enjoy! Nice writing on New Music Video Finds a Solution to a Latke-Free Chanukah.